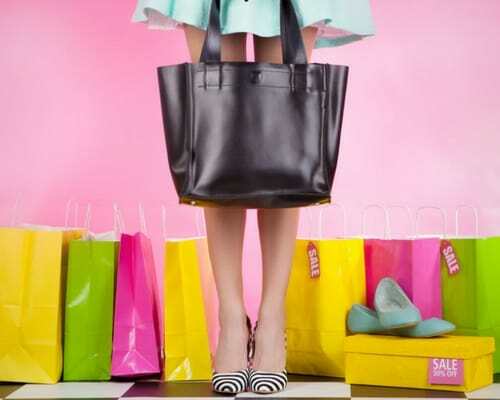 Is Mystery Shopping the Right Work-at-Home Job For You? 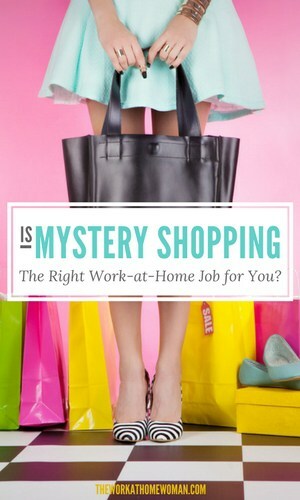 You are here: Home / Extra Money / Is Mystery Shopping the Right Work-at-Home Job For You? How is it that someone who is prone to panic attacks, could have the gumption and fortitude to participate in an activity where it's required to “go undercover” and meticulously record a play-by-play account of your dealings with a sales associate, as needed in a mystery shopping scenario? Sometimes you just have to take the bull by the horns, step outside of your comfort zone, and conquer something that is hindering your forward progress. When I first started doing mystery shopping, I signed up with as many mystery shopping companies as possible. This gave me a good variety of shops, and it helped me gain experience so that I could get the higher-paying gigs. I also took the sage advice of not getting involved with any company that made claims of helping you get mystery shopping engagements for a fee or paid membership. Scam. You should never have to pay upfront or invest any of your own money to qualify for a legitimate “shop,” as they are called, or become a contractual agent for any of the innumerable, MSPA (Mystery Shopping Providers Association) member companies (The MSPA is the Better Business Bureau of the mystery shopping industry). I’ve been a mystery shopper for nearly a year now, and I’ve thoroughly enjoyed myself, while at the same time making extra income. I went into it truly wanting to make a difference and seeing improvements made on the customer service front is an added benefit to making additional income. Mystery shopping is not all fun and games, though. Let me run through some of the traits to being a good mystery shopper, so you can decide if it’s for you or not. If you are a conscientious individual, and maybe that should go without saying (because many of the self-employed are just that by nature), you’ll probably do well. Are you observant, a people-watcher? This skill lends itself well to the art of mystery shopping. Do you plan out your day, step by step, knowing where you’ll be and what you’ll be engaged in at what time? An important part of accepting mystery shops is to work them into your daily routine, so they are not out of your way. For example, I’ve done several postal shops, both for FedEx and USPS. Sign up for several if you can in advance, and map them out, working them into your list of “Things to Do.” And reward yourself every once in a while by scheduling a “reimbursement only” lunch or dinner shop, and take a friend or business associate along. If you write well, with a very descriptive and informative style, you’ll get good ratings from the shopping companies and may be called upon to do special assignments. Be very thorough in your online reporting. Be specific and review everything you’ve written before you submit your work. Spell check! Save your work multiple times during your entries, so you don’t waste time by having to enter everything all over again. Be accurate, because many times you are on camera anyway, and believe it or not, your report could have some influence in the promotion or termination of employees. Certification is done online and includes some testing requiring memorization. Gold certification is also available from the MSPA, but neither of them is necessary, though they show the shopping companies you take your role as a mystery shopper seriously. Higher paying, more rewarding, and enjoyable jobs will be offered to you. I have more than a dozen shops coming to my email inbox daily, but I pick and choose now which ones I really wish to do. The only other thing to be aware of is “reimbursement only” shops, where you have to front the money for the purchases. I have a separate credit card for mystery shopping only. I pay for the hotels and restaurants this way, and I've never had a problem receiving reimbursement when shopping with MSPA member companies. These shops don’t come along every day, but they are available once in a while. So give it a whirl. It might just be your cup of tea! Patrick Gunther is at present a stay-at-home father of two girls, ages 2 and 6. He is passionate about food storage, outdoor survival, emergency preparedness, and self-reliance. You can find him blogging and vlogging about these subjects over at Emergency Food Storage Pros. Hi , I would like to become mystery shopper.